There’s a mint patch off the side of my deck that comes back every year. I remember planting a few mint plants there when I was younger after gathering them from a nearby stream. My friend Jess and I spent days at that stream: exploring, fishing, swimming, hiking…the list goes on and on! We had a habit of catching stream critters (fish, frogs, crayfish) and keeping them as pets (for as long as our parents would allow it), and we both loved plants. She now helps run her family’s florist and I have a garden instead of a backyard. The point is I was destined to love vegetables. Also, young me was super smart to plant mint because it is a perennial that comes back bigger and fuller each year. Mint is a partly-shade plant that serves a dual purpose of filling a large gap in landscaping while also being a delicious and very handy herb to have around. 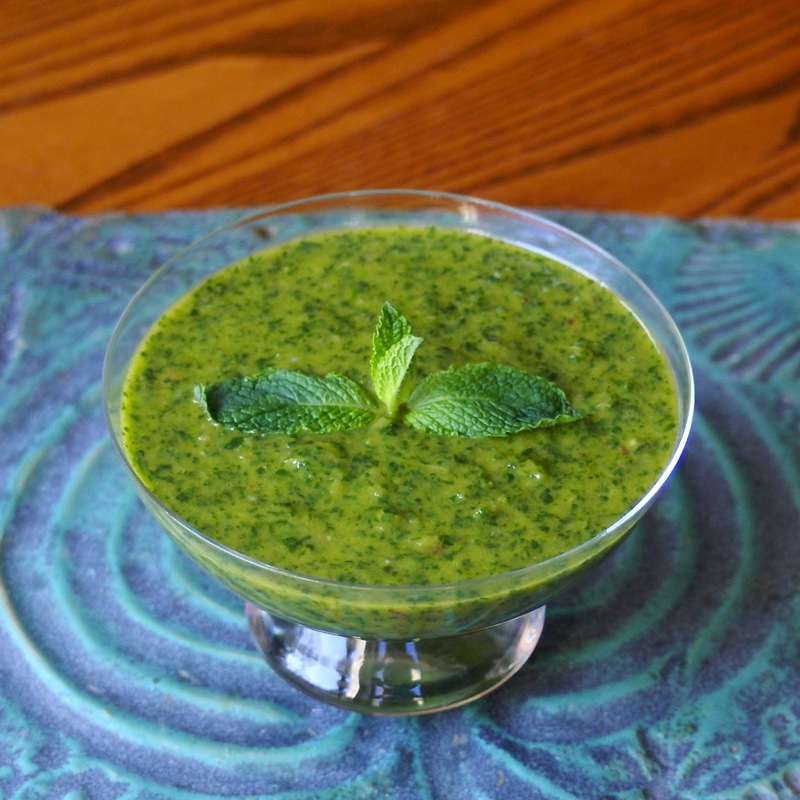 Nothing beats fresh mojitos, mint chocolate chip ice cream, fresh mint salad dressing, and mint sauce. Mint chimichurri sauce to be exact. This sauce is bursting with flavor. 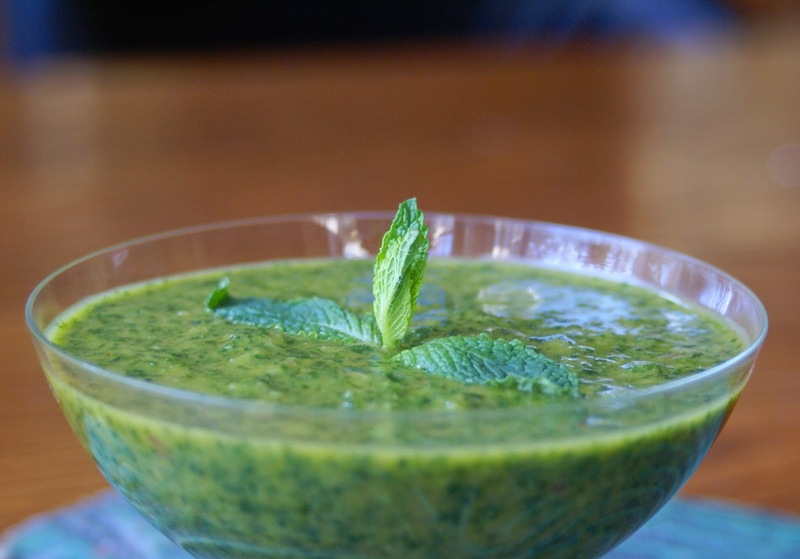 The mint makes it light and refreshing while the garlic and cayenne pepper add a zesty, spicy kick. Yes, I am already dreaming of summer with this sauce. I have visions of warm, sunny days and my big, bountiful garden with every bite! I originally made this sauce to go with a roast leg of lamb that some of you may remember me posting a few days ago in my instagram. It was a heavenly combination. The only reason I’m not sharing the lamb recipe is I didn’t get good pictures of it because I made if for dinner, therefore there was no good lighting to capture the beauty of the roasty, toasty perfection. Does anyone have good tips for getting photos at night that don’t come out completely washed out and with a weird yellow hue?! I haven’t shared SO may delicious dinners because I don’t like the way the pictures come out without natural lighting. 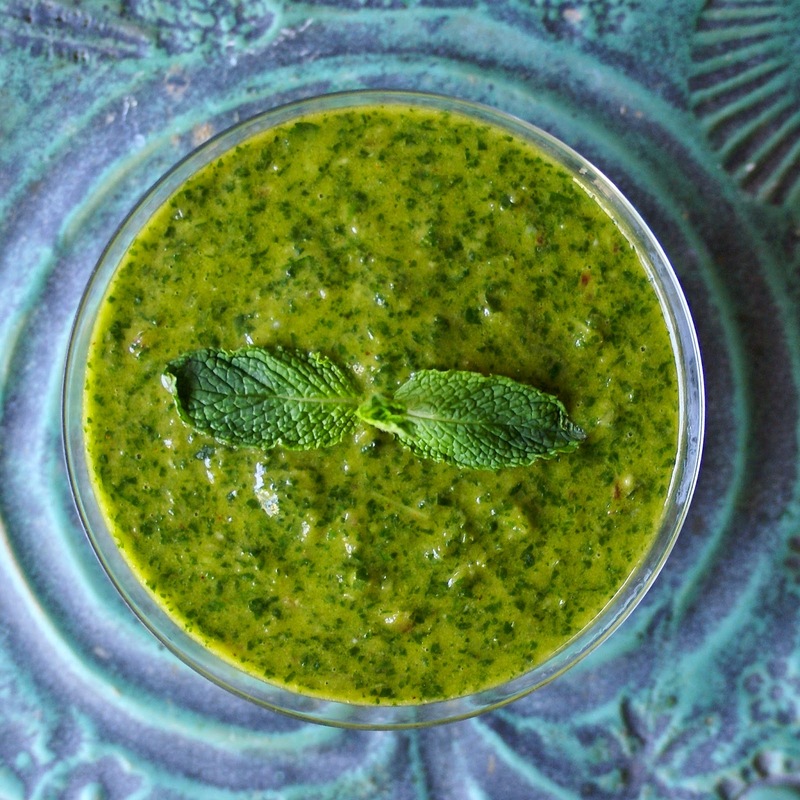 Break from the traditional chimichurri sauce and try this mint version. And while lamb is an excellent place to start as a pairing for this, you can smother this in just about any meat/veggie protein, roasted vegetables, salads…you get the idea. Pulse the garlic and onions together. Add the mint, parsley, honey, and red wine vinegar. With the food processor running, slowly stream in the olive oil. Blend until desired consistency is reached. Add the salt and cayenne pepper last. Pulse to incorporate.